It would be impossible to capture the depth and breadth of Mexican culture in one blog posting. However, we can give you a really great overview, and enough information to navigate life just a little easier when you are living in Mexico. Understanding things like meal times and how they differ can make a big difference, as well as knowing a little history. Mexico is rich with culture, diversity and interesting history. With a population going back more than 12,000 years ago, Mexico was originally inhabited by many different tribes. In 1519, the Spaniard Hernan Cortes overthrew the Aztec Empire, and by 1521, Mexico was officially under Spain’s rule. It took almost 300 years for Mexico to win its independence from Spain, in 1821. Mexico’s colorful history has helped to shape its vibrant culture in areas of food, art, and religion. Regardless of where you live in the world, chances are you have tried some of Mexico’s delicious cuisine. If not, you have probably enjoyed a meal made from one of their many crops. Today, you can still see the influence of both Spanish and Mayan/Aztec culture in many of Mexico’s recipes and customs. In the United States, we schedule our meals around work or school. We have breakfast before we start our day, a short lunch, and then dinner. In Mexico, things are quite different. They still follow the traditional Spanish method of planning their schedules around their meals. They also have different meal times and portion sizes than what we are accustomed to for breakfast, lunch, and dinner. Many Americans eat a small amount of food for breakfast and lunch. Dinner is typically the big meal of the day. Breakfast in Mexico is typically a small meal such as toast, yogurt or sweetbreads. Lunch is the main meal of the day there. Work stops (similar to our lunch breaks, but longer) and people will usually enjoy a meal that includes meat, seafood, rice and/or beans. This is considered to be a leisurely meal, so visits with friends and family accompany it. Dinner will then be served around nine at night and will include coffee, sweets, and milk. Two of Mexico’s major exports are fruits and vegetables. The most popular being coffee, tomatoes, corn, sugarcane, and wheat. The United States purchases almost 80 percent of Mexico’s exported crops. Corn is one of the biggest crops they produce with almost 17 million acres being used for growing. Historians believe that corn was first cultivated in Mexico about 5,000 years ago and has been an important part of Mexico’s economy and food culture since. Mexico has always enjoyed a rich art-centered culture. From 1500 BC to 1500 AD when the Olmecs produced sculptures, to the Aztecs who created knives adorned with the heads of gods. They used ceramics, paper, and stone to create pottery, figurines, and sculptures that still fascinate us today. After they were conquered by the Spanish much of their art focused on their new religion, Catholicism. Paintings also took on a European style as the style of the Spanish was influencing the native people. This style of art continued well into the late 1800s. Art in Mexico did not break from European traditions until the Mexican Revolution in 1917 when they overthrew Porfirio Diaz. The Mexican dictator punished people for trying to encourage artistic and cultural development. This is around the time that art really started to change. Local artists and crafters believed that Mexican art should be representative of Mexican life and culture. Mexican folk art became popular in the early to mid-1900s when Mexico started to become a popular tourist attraction. People who weren’t traditional artists made this art. They used their skills in leather making, basket weaving, and ceramics to create objects. People make many of the objects with natural materials such as clay, wood, and straw. The folk art movement became very popular and served as a manner to earn a living. It helped many people who did not have access to other employment feed their family or secure shelter. Mexico has produced many talented artists over the years. There are three people though who we generally recognize as being the most popular. They are Frida Kahlo, Diego Rivera, and David Alfaro Siqueiros. 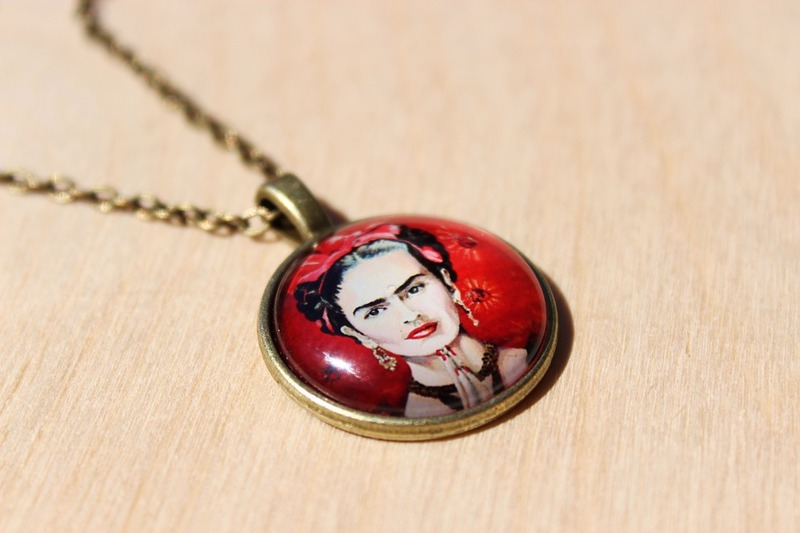 Frida Kahlo is one of the most iconic Mexican artists. Most people know Kahlo for her paintings, inspired by the people and politics of Mexico, as well as its nature and history. She originally wanted to be a doctor, but a car accident when she was 18 ended those dreams. While bedridden she started drawing and decided to become a medical illustrator. This lead to her doing paintings of herself, family and friends. Her career took off when she met fellow artist Diego Rivera. Diego Rivera made a name for himself with his large frescoes during the Mexican mural movement. His parents encouraged his love of art from a young age. At three years old he developed the habit of drawing on the walls of their home. They covered the walls in canvas and chalkboards. He studied art in Europe and returned to Mexico in 1921 to take part in a government art program. It was during this time that he met, and later married, Frida Kahlo. While he was participating in the government art program he also met David Alfaro Siqueiros. David Alfaro Siqueiros was muralist who helped start the Syndicate of Revolutionary Mexican Painters, Sculptors, and Engravers. He felt that art should show what life was really like for the people of Mexico and also help educate. He was seen by many as a radical political activist and many of his murals show his pro-Communist views. Mexico celebrates their holidays like no other country. Parades, costumes, fireworks, food, and music are a big part of patriotic holidays, cultural festivals and religious observances. 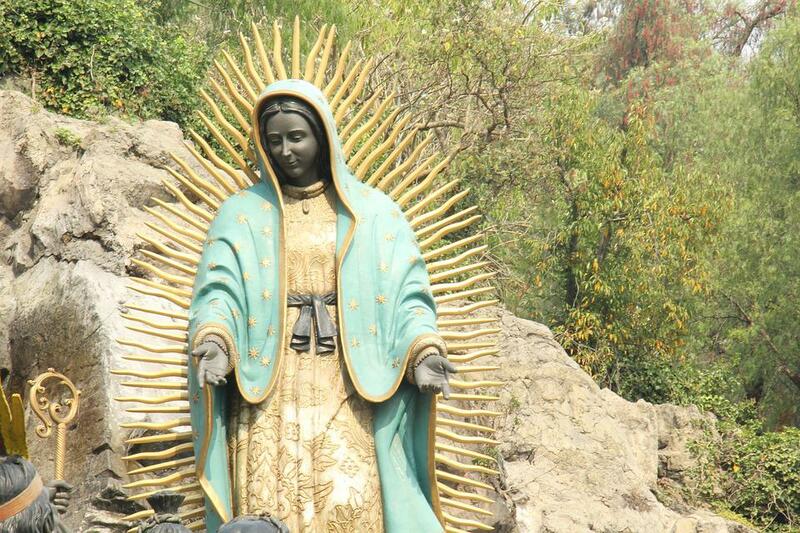 Only people in Mexico celebrate some of these holidays, such as Day of the Virgen of Guadalupe. Other holidays, like Day of the Dead, have crossed cultural lines and are celebrated by people all over the world. The Day of the Dead, or Dia de los Muertos, takes place on November 1st and 2nd. At midnight on October 31st, the spirits of children reunite with their families. On November 2nd the children return. Then the spirits of the adults come down and participate in the festivals. Day of the Dead coinciding with the Catholic holiday of All Soul’s and All Saint’s Day is no accident. It is a perfect example of how the Spanish culture has intertwined with ancient beliefs. 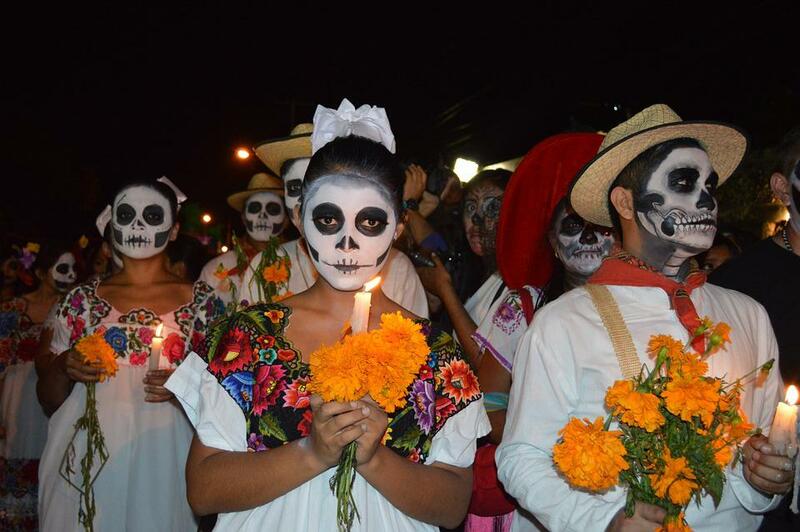 Unlike the American Halloween, the Day of the Dead celebration is not based on fear. It isn’t about spooky ghosts, jumpscares, or ghoulish frights – though it does heavily feature skeletons and skulls. Families set up their loved one’s favorite foods, photographs, and memorabilia as well as other treats on an altar – they visit cemeteries, too. When comparing holidays, this one is closer to the American Memorial Day atmosphere than Halloween; the main difference being that the departed are also believed to be attending. December 12th is the Day of the Virgin Of Guadalupe. The story behind the holiday is interesting. In 1531, a man met a woman who identified herself as Saint Mary, mother of Jesus. She asked him to build a temple on the spot they were standing, so that she could help the people of the land. This vision ended up bringing the Catholics and native religions in the area together. Also known as The Cry of Dolores, Mexico celebrates Independence Day for two days starting on September 15th. Although Mexico did not receive its independence until September 28, 1821, the holiday celebrates the start of the revolution. On September 16, 1810, Miguel Hidalgo made a speech in the town of Dolores which started the movement towards independence. Just like in America, Independence Day is consists of fireworks, parades, and parties. From the Aztecs to the Mayans, Mexican culture has always been fond of symbols. Much of the art coming from and representing the country still uses these symbols. Two of the most current recognizable symbols from Mexico are the flag and coat of arms. 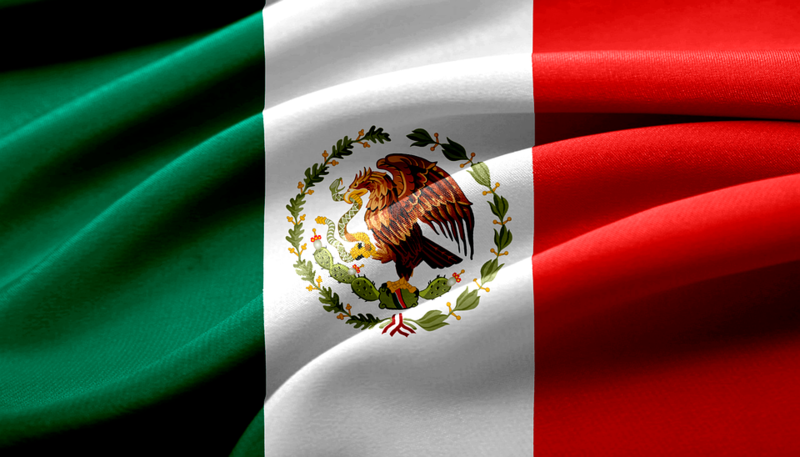 The Mexican flag is made up of three colors: green, white, and red, with the coat of arms in the middle. The first Mexican flag was a drawing of Our Lady of Guadalupe, the country’s patroness. The colors of the flag were adopted during the War of Independence. The green represents independence. The red represents the joining of the Europeans and Americans and the white represents religion. The flag as it is seen today was officially established in 1968. Flad Day is celebrated on February 24th. The Mexican coat of arms is said to represent how the Aztecs chose the area to build their capital city (which is the current location of Mexico City). The leader of the Aztecs, Tenoch, had a dream. In that dream, the god of war told him where they should settle. He said to look for a place where an eagle was sitting on a cactus eating a snake. This is just a glance at Mexico’s extravagantly rich culture. From the delicious cuisine to the artistry, Mexico has a way of creeping into your soul, and staying with you. Understanding these things will also help you adjust when moving to do business in Mexico.